Wiggle is a toy project designed for the "Tween" age group. Tweens are the youth at transitional age between child and teen. This is the age that they become more concerned with technology, start to develop a taste in music, and their personality blossoms. 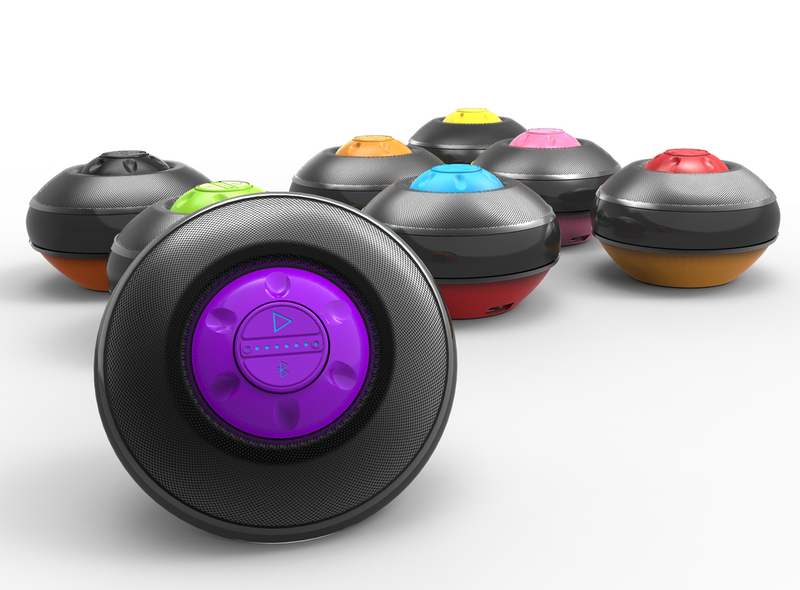 Wiggle is the fusion of a Bluetooth speaker and a game of musical chairs. This product embraces Tween's need for physical activity in conjunction with embracing the advancement in technology. Wiggle is available with custom color options and allows you to play your own music making for a personal play experience. Wiggle spans the age gap between child and teen by providing a functional and aesthetically appealing speaker that can be used with out the light function. This product also appeals to the younger ages by providing an incentive to play and get active.